What on Earth are Telomeres? Basically, they are the endcaps of our DNA, you know those building blocks of life? That unique genetic code made of 46 chromosomes that make you utterly and completely you? Well, telomeres are an integral component of our genetic model, present in nearly every cell in our bodies. But they aren’t just hanging out there at the end of our chromosomes, along for the ride. They’re working dynamically at protecting our genetic information when cells divide. In a way, they help keep our genetic code consistent, and thus, help keep you… you! Why are Telomeres important to aging? Cell division is a process that keeps our bodies healthy and properly functioning. It’s natural for cells to get old and worn-out, which is why they divide: to replace the old with the new. Telomeres are like a vault, hosting all of our genetic information. When cells divide, telomeres lock that information and protect it from getting damaged during cell division. 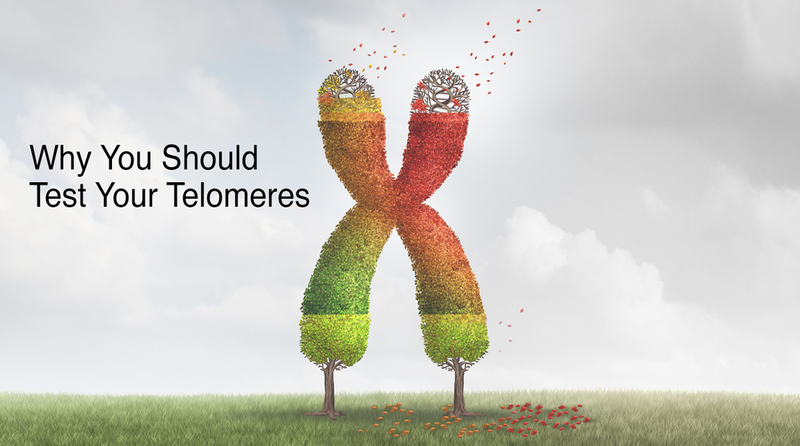 Because telomeres are the brain of our genetic code, they provide important insight into our cellular age and provoke questions regarding the aging process. What is our cellular age in relation to our birth age? What influence do our lifestyle choices have on our aging process? Are we doing certain things that are expediting the aging process? If so, what are they? Truth is, without information we can’t change anything. We’ll continue enacting the same daily rituals that might be accelerating the aging process, and even leading to illness or disease. That’s why it’s important to measure telomeres. We all know we should eat healthy, get adequate sleep, and take care of our bodies, yet often we don’t have evidence of that until we get a health-scare as a wake up call. Testing our telomeres gives us scientific insight into how our bodies are aging. With that data, we can adopt changes or foster good choices to actually slow down the aging process. Just as bad habits can age us faster, healthy habits can reverse the course of aging. However, we can’t make any changes without solid, verifiable information. That’s where Teloyears comes in, a health tracking system that tests your telomeres and guides you through a lifestyle improvement plan based on telomere science. With this simple home test, you can learn more about your age than just your birth date. The results will reveal your cellular age based off of 300 million data points. You’ll also receive a test report as well as a blueprint for aging well, based on your telomeres. Long story short, you can take active steps toward feeling younger, healthier and ultimately, living longer. Now that we know we can measure our cellular age. Let’s talk about what we can do about it. The goal is to add more years to our lives by choosing healthy lifestyle habits that slow the progression of aging. Without action though, nothing changes. So, the first thing to do when you get your results is see where there’s room for improvement. Don’t be alarmed if your cellular age is beyond your birth age. Now that we have the information, we can reverse the advancement of aging by making better choices. By making changes now, you’re slowing down the aging process so that you can feel younger longer. Aging is inevitable, the goal is to age gracefully with good health. 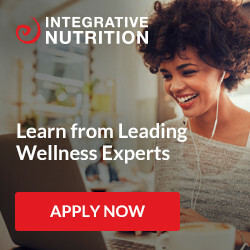 With my personal health journey, I’ve found that knowledge is power. The more you know, the more you can apply to your life and invite positive change. It’s easy to get caught up in the external concerns of aging and appearances. Ultimately, our long term health is influenced by our daily decisions and habits. Aging doesn’t have to be scary, it can be a beautiful process. First step? Test your telomeres.